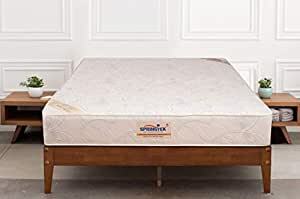 Sold and fulfilled by Springtek Mattress (4.8 out of 5 | 25 ratings). 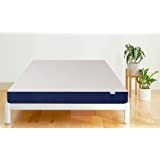 Wakefit Sleeping Pillow (Set of 2) - 27" x 16"
This mattress offers indefinite spine support with its super hard spring system covered with high tenacity non woven fabric. Upgrade to fresh, new mornings with a world class spring mattress that is as easy on your wallet as it is on your back. The rigid, yet flexible core offers the right support for your back without losing shape even on prolonged usage. This product comes with 6 years warranty Warranty Summary - 10 Years Manufacturer Warranty This product comes with 10 years warranty This product comes with 25 years warranty This product comes with 8 years warranty This product comes with 6 years warranty against manufacturing defect. 5.0 out of 5 starsSuperlative service and great quality mattress! I bought 2 Springtek mattresses of 72*36*8 for my 75 year old mother. Delivery was on time. Quality was great. Though the mattresses were described as medium firm, my mum found them soft. I requested for a return. A company executive called me to understand the problem. He was very courteous and gave me an email to write about the entire issue. I did. The company owner immediately messaged me. I spoke with him and he very generously agreed to swap the mattresses FOC as an exception. Since my mum needed only hers to be very firm, I told them to change only one. Though he was ready to change the both. They couriered the new mattress. My mum is now thrilled with her new firmer mattress. I found Springtek very customer focussed and are very proactive in meeting with consumer expectations. They should provide their customer service number so that buyer can clearly describe their requirements. Or the mattresses can be graded in terms of firmness. Please go ahead and order Springtek. This is the best online mattress deal in India. Bought this product based on the reviews. Ordered on 26th oct. got delivered on 4th after much followup with courier. At first look i fell in love with the very looks and felt premium. Bought it because of my back problem. The center support is okay, but there is a very serious issue with mattress on the borders, which sag so much with little weight that my child rolled down because of this. Wonder why no one noticed this. An ortho mattress should be firm all around including the borders. 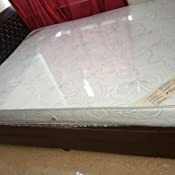 Request the manufacturer to replace the mattress with a firmer product as advertised. Well i am writing this after I have been thouroughly addressed by the company customer care. Must make a point to thank the lady who was very polite and considerate. Now after speaking to her seniors she assured me to send a replacement of a better quality. One of rare occassions where the company has really kept its word. Now i do not have back problems and am thankful to springtek for solving the issue that I was having. 4.0 out of 5 starsBest product at the unbeatable price. 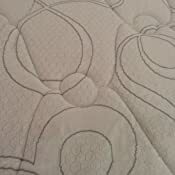 After lot of research online between Bonnel, Foam and Pocket Spring Mattresses decided to go with the product. 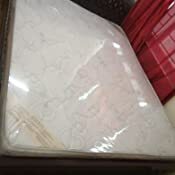 To my surprise received a product which looks decent and comparative to bigger brands available in Market in mattresses segment. In the start mattress seems bit hard on your back when its new but after usage of 4-5 nights at same position will make it suitable for your posture and spring becomes comfortable. 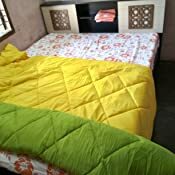 Delivery was on time and product was shipped with good support at corners made up of cardboard which protects the mattress during travel in long distances. 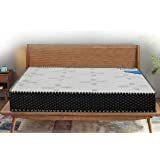 I ordered Springtek Ortho Pocket Spring 6-inch King Size Mattress (White, 78x72x6) during big billion sale. The product is of superb and unmatched quality. Very prompt service from Ashoka Foam Group (the manufacturer) and Amazon. I had contacted the seller for size related issue, so that it fits my furniture. My query was swiftly responded and taken care of and reached well ahead of delivery date. I'm planning to purchase one more mattress soon. The company has excellent expertise in the product domain since 1968. I would highly recommend for purchasing of these mattresses to others. Product is good and comfortable. Both the Brand and the technology (Pocketed spring) have been chosen after careful research and are the best for daily and healthy sleep. 3. your back will speak for itself, no more pain or strain. 5. Size of the mattress is your preference. 6. material is very good and aesthetically appealing, But i suggest please add a waterproof cover which will benefit in many ways, especially with kids at home who tend to bed wet or spill liquids. So far so good. Honestly I don't regret buying this. 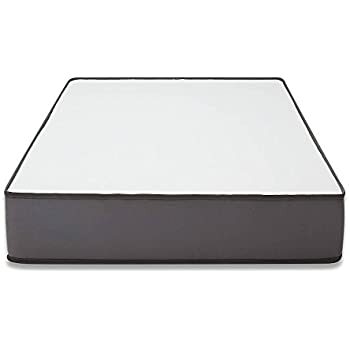 I ordered the 8" king size pocket spring mattress and i am extremely happy with it. Its very comfortable and is also not too soft to give a proper back support. 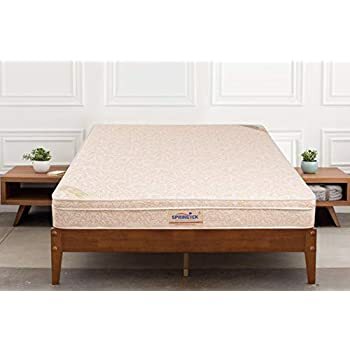 I have used springtek Mattresses before and i can say its value for money. Best mattress in the price range.